*Actual On Road Price of Hero HF Dawn at the dealership may vary. Hero MotoCorp has relaunched the Hero HF Dawn 100 cc commuter bikes in India, in its 2018 guise. 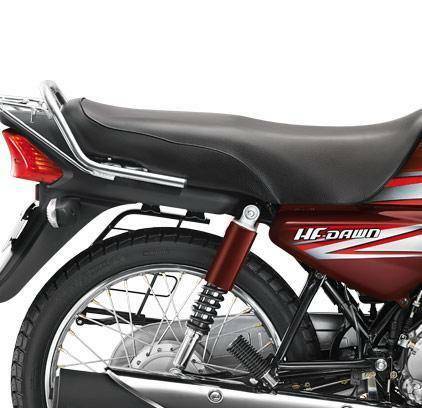 As of now, the bike is only available in the state of Odisha, priced at Rs 37,400 (ex-showroom, Odisha). The hero will gradually introduce the bike in other states as well soon. For the 2018 model year, Hero MotoCorp has introduced two new colour schemes for the Hero HF Dawn - Red and Black, with some subtle graphics, while the engine, seat, and the cycle parts have been colored in black, unlike the chrome or silver shade of the previous model.